It is our mission to solidify and grow your online presence. This means that everything we produce is strategic, creative, and representative of your brand. All projects and campaigns are created in-house, so you never have to worry about frustrating interactions with third-party service providers. Running a business is complicated enough--we like to keep things simple. At Hudson Horizons, we take the term “integrated” very seriously. All projects are created, designed, developed and implemented internally. We don’t sell generic website templates or standardized marketing plans. Instead, we construct the most creative, customized strategies in all facets: design, development and digital marketing. Clients become partners because we put customers first—your customers. Whether you need a responsive website design, mobile app, custom logo, social media banner, or all of the above, our Web designers can (and will) make your vision a reality. We work with every client individually to establish a clear, aesthetic design that transcends expectations and solidifies brand consistency. We ensure that no matter how customers find your business, you will always look your best. What separates you from your competitors? For starters, the user-friendliness of your website matters. Our developers code intuitive websites and apps from the ground up. This way, visitors can navigate, browse and purchase from your business without experiencing glitches that often result in customer loss. We know that customers have high expectations; therefore, we consider smooth site browsing and efficient transactions standard protocol. Before your customers know your brand, you need to know your customers. Our digital marketing team is comprised of experts in social media marketing, search engine optimization, and pay-per-click advertising. Plus, we specialize in both demographic and psychographic research. This allows us to pinpoint your target market according to location, age, search habits, and interests. Once we know who your customers are, we speak to them directly. 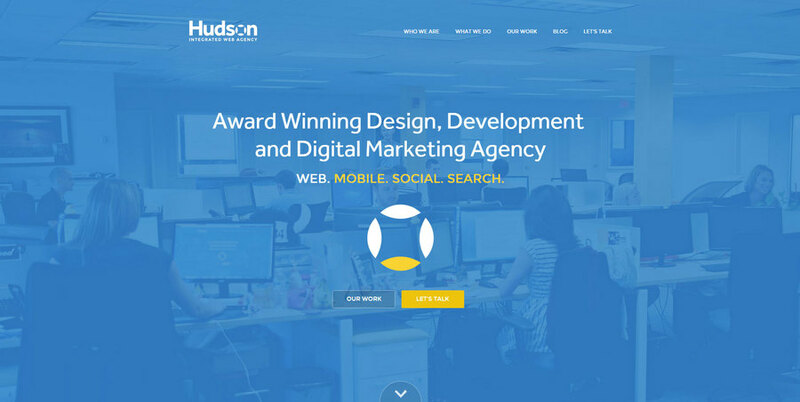 Hudson Integrated Web Agency is a top digital marketing agency located in NJ and NYC.